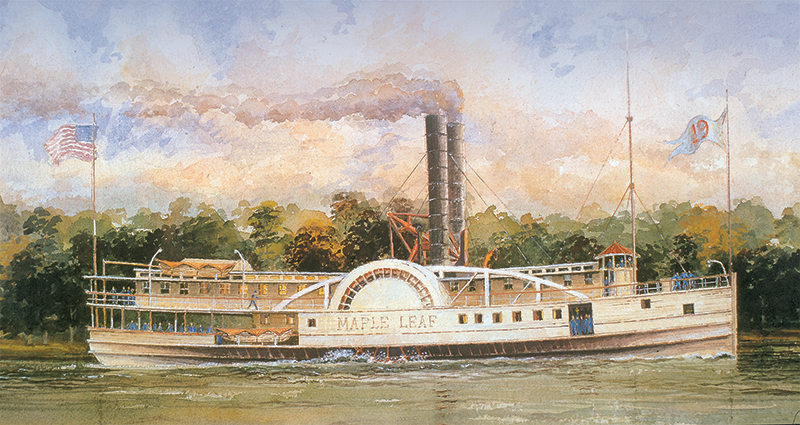 In the wee hours of the morning of April 1, 1864, a steamer known as the Maple Leaf was quietly moving up the St. Johns River in northern Florida, about twelve miles south of Jacksonville. Built in 1850, this 173-foot-long sidewheel steamer was one of hundreds of similar ships contracted by the U.S. Army to move men and equipage during the Civil War. On this particular night, Maple Leaf was returning to deliver the baggage for three infantry regiments and a brigade headquarters, packed tightly in boxes and barrels in the fore and aft cargo holds. “Maple Leaf off Mandarin Point, Florida, April 1, 1864.” by Donald Ingram & SJAEI. Courtesy of Dr. Keith V. Holland, Mandarin Museum and Historical Society, mandarinmuseum.net/maple-leaf. Suddenly, a thunderous explosion from a submerged Confederate mine ripped a 30-foot-long gash through the hull. Within minutes, as the dazed passengers and ship’s crew scrambled to the lifeboats, the Maple Leaf sank to the muddy river bottom, taking with her all the ship’s cargo. While several attempts were made to salvage the ship in the days that followed, most of the equipage was given up as lost. That is, until the shipwreck was rediscovered in 1984. 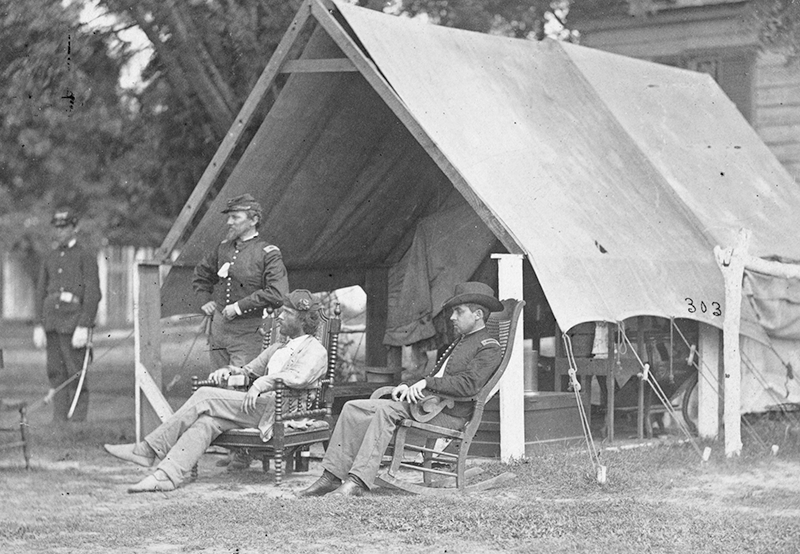 This large canvas tarp was laid over a wood frame and kept in place by wooden stakes. Among the remarkable finds from the Maple Leaf are over 440 artifacts related to Army tents, a type of equipage that has rarely survived from the Civil War. While no examples of the actual canvas were found, a number of the upright and ridge poles were recovered. 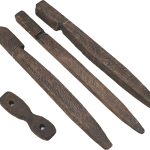 Also found were large wooden beads used to hold the knotted ends of tent ropes and wooden slips for tightening the ropes. 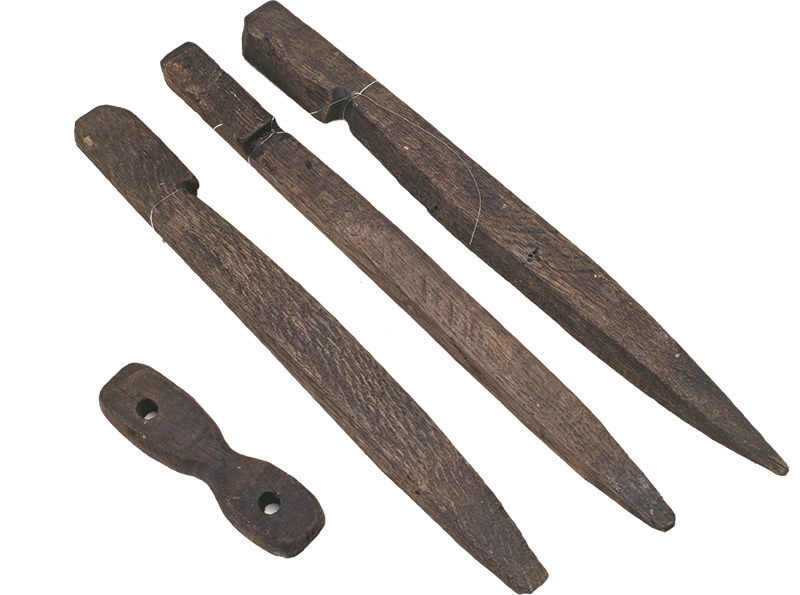 Sixteen examples of the oak pegs (or “pins” as the Army called them) for staking down the tents were also found, revealing that their design was virtually identical to those used by Soldiers through World War II. These examples are just a small sample of the many remarkable artifacts from the Maple Leaf, providing historians and enthusiasts with a new window into this important period in Army history.